3. 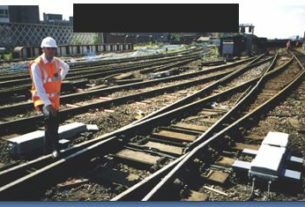 Track Sectioning cabins or Track Sectioning Locations – which perform function of switching, sectioning, paralleling and electrical protection. 4. Are unattended, kept closed, locked and alarmed for security. 5. Switchgear is remotely controlled by supervisory control from Electrical Control Room concerned (SCADA system), and is contained within buildings or outdoor housings, or is structure mounted. 1. 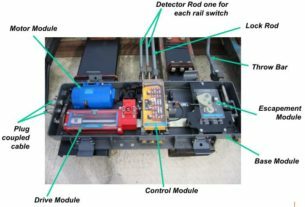 20 to 30 miles apart – distance between railway feeder stations determined by consideration of traffic to be handled, the performance required of electric traction units and electrical characteristics of overhead and supply systems. 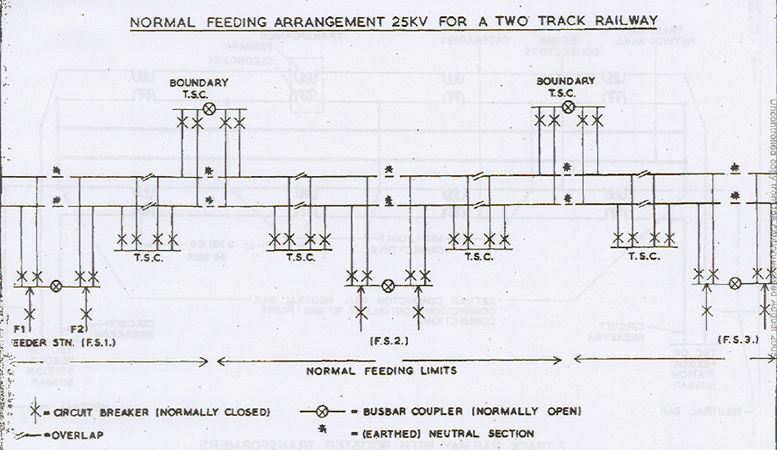 Not always possible to achieve optimum spacing in practice due to desirability of locating the feeder stations close to Grid substations in order to avoid long feeders and of locating feeder stations at railway junctions or intersections. 2. To keep the unbalance on the 3 phase grid system within specified limits, power for traction is tapped off the grid system across the different phases at adjacent feeder in cyclic order. 3. 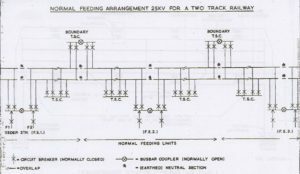 A Feeder station has normally two supply transformers, one will feed, say northwards and the other southwards. 7. 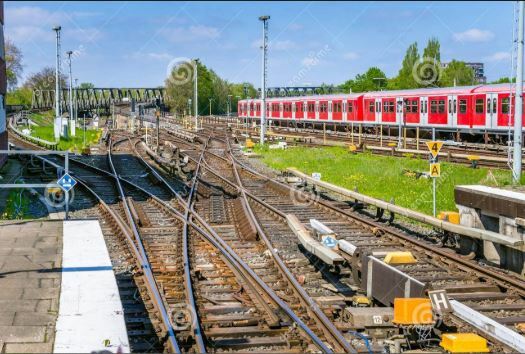 Intermediate t.s.c.s are provided midway between feeder stations and the boundary t.s.c.s. This is to reduce the length of section where power block is taken for maintenance work, etc. Here again the catenaries are paralleled via circuit breakers. 2. 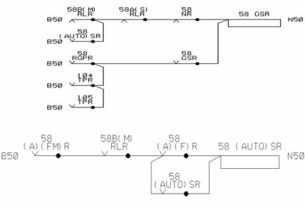 Short jumpers are usually installed between termination of bare feeders or sealing ends of cables and switches and also between switches and the OLE.